Couscous au beurre (buttered couscous) is a traditional couscous-based dish from Algeria, as well as Morocco and some parts of Tunisia. 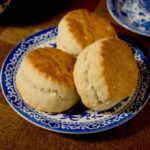 Like a number of traditional dishes, it takes various forms depending on the country, as well as the region it comes from. My father was born in Algeria, in a city called Maghnia, at the border of Algeria and Morocco. He married my mother who was originally from Tunisia, and for whom couscous au beurre was foreign. She never really liked it, but… the whole family did, and every time we had couscous au beurre at home, it was definitely a treat. 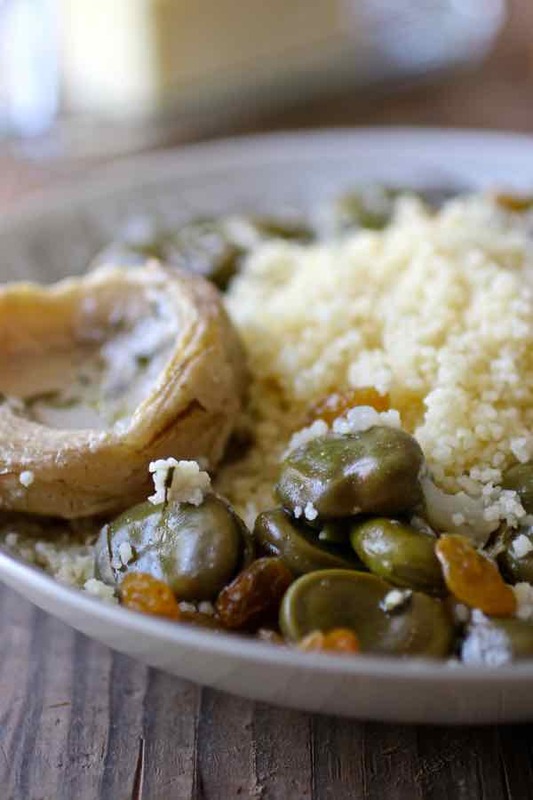 The couscous au beurre version that my mother made for us was quite simple, with buttered couscous, fava beans, and raisins. And we would drink leben (fermented milk similar to buttermilk) with it. Couscous au beurre, as we call it in French, is really a North African specialty that is popular during the month of Ramadan (month of fasting). 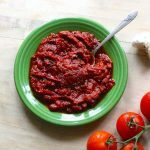 In Algeria and Tunisia, it is called mesfouf (or mastouf, مسفوف‎ in Arabic) and it is often eaten during suhūr (also spelled sahūr or suhoor), which is the pre-dawn meal that is consumed before fasting, along with a glass of leben. 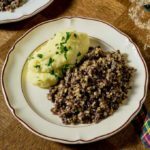 Mestouf is also served at traditional celebrations or family meals. In Moroccan and Algerian Jewish families, couscous au beurre is often prepared at the end of Pessah (Passover). There are many regional recipes of mesfouf, some savory and some sweet. 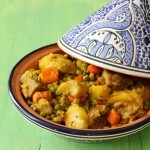 The Algerian version is typically served as a main dish with peas and beans. However, some serve it with vegetables and meat. In the surroundings of Tunis, it is served with peas and raisins. 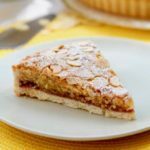 In Sfax (about 3 hours south of Tunis), they serve it with almonds and dates and other dried fruits such as pistachios and hazelnuts, as well as custard. Some people also like to pour milk or leben on mesfouf instead of drinking it on the side. They also add sugar to it to make it sweet. 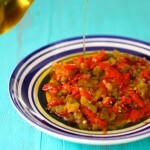 In Djerba, mestouf is traditionally spicy and it is often prepared with peppers, dried meat as well as garlic, and aromatic herbs such as fennel or lavender. 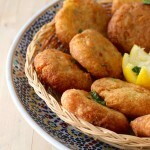 Mestouf is also called seffa, especially in Algeria and Morocco. There are again different versions of seffa. One of the most popular is seffa medfouna. This popular Moroccan version consists of steamed and sweetened couscous or broken vermicelli (chaariya) which is piled up on a platter and topped with powdered sugar, ground fried almonds, raisins and cinnamon. The reason why this version is called medfouna is because saffron chicken, beef, or lamb is hidden below the dome (medfouna means “buried”). In Casablanca, they serve meat-free seffa as a follow-up course to a main dish. 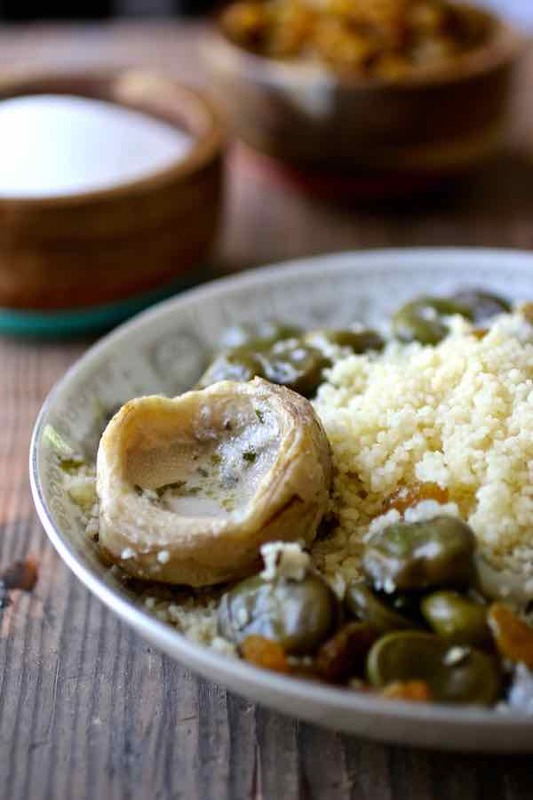 In Meknes and Fez, a vegetarian and nut-free version called seffa touba is also sometimes served for dinner. 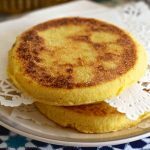 This version is sprinkled with orange flower water and served with cold or warm milk, which can be mixed with seffa to make a thick porridge. Couscous is a staple food throughout the North African cuisines and known as a national dish in Algeria, Morocco, Tunisia, as well as Mauritania and Libya. However, it is now popular throughout the world. The original name for couscous (Arabic: كُسْكُس‎ ) may be derived from the Arabic word kaskasa, which means “to pound small” or from the Berber seksu, which means “well rolled”, or “rounded”. It is called taam, kosksi or kesksu in Algeria, seksu in Morocco, kousksi in Tunisia and maftoul in Jordan and Lebanon. It is also used in Sicily where it is known as cuscusu. Couscous consists of steamed balls of crushed durum wheat semolina. The origin of couscous is quite vague. It may have been invented by the Berbers, as early as the third century AD, as primitive couscous pots dating back to the reign of the Berber King Massinissa were found in Algeria. Other historians believe couscous originated between the end of the Zirid dynasty and the rise of the Almohad Caliphate around the twelfth century. Other sources show evidence that the process of couscous cookery, consisting in steaming the grain over water or a broth, in a special pot, might date from before the tenth century and might have started in West African states of the Sudanic kingdom in the areas of today’s Niger, Mali, Mauritania, Ghana, and Burkina Faso. Today, in some regions of Guinea and Senegal, dishes made of millet couscous with meat or peanut sauce are still prepared. In the 13th century, a Syrian historian from Aleppo included references about couscous, confirming that couscous spread rapidly, mostly from the former Libyan province of Tripolitania to the west. Couscous is also popular in Western Africa, as well as Central Africa, and even reached the southern provinces of Turkey from Syria in the 16th century. It is interesting to note that couscous was originally made from millet and not wheat. Most historians believe that the transition to wheat occurred during the 20th century, although there are still many regions using millet to make couscous. Original couscous traditionally needs to be steamed in a couscoussier (oversized double boiler) for a long time to obtain fluffy, plump and voluminous grains. Today, the couscous grain that is sold in most Western supermarkets has been pre-steamed, then dried. Pre-steamed, also called instant couscous, takes less time to prepare than traditional couscous. As mentioned earlier, there are a multitude of versions for couscous au beurre. This version is a version for Constantine, in Algeria, closer to the Tunisian border. 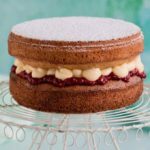 Feel free to use some of the ingredients and make your own version. Enjoy with a glass of cold leben! 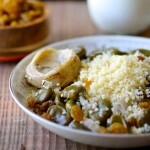 Couscous au beurre is a traditional North African recipe prepared with couscous with butter and vegetables. 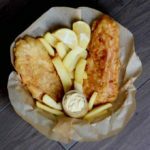 It is typically served with leben. 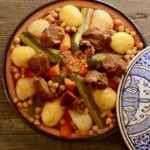 For the couscous, you can follow the instructions on the package (in a saucepan or in the microwave), or you can prepare the couscous more traditionally. Bring a large volume of water to a boil in the bottom of the couscoussier (steamer). In a large bowl, pour the semolina, add 1½ tablespoon of salt and 2 tablespoons of oil. Mix well by hand while rotating the bowl with the other hand so that all the grains of semolina are greased. Then add 1 cup of water in 4 times while continuing to mix well between each addition. Mix all the grains enough so that they are detached from each other without forming any lump. Let the semolina stand for 5 minutes then pour it in the top part of the couscoussier. Place the top part on the bottom containing boiling water. Make a hole in the center of the couscous with the handle of a wooden spoon so that the steam circulates well, then cover as tightly as possible. Allow steaming for 20 minutes. Then prepare the broth: In a large pot, sauté the finely chopped onions in 3 tablespoons of oil without coloring them. They must become soft and translucent. Then add the finely chopped cilantro and stir a few minutes over medium heat. Add the fava beans, artichoke hearts, salt and cover with water (about 6 cups). Bring to a boil and cook for 20 minutes on low heat (you can test if the artichokes are fully cooked and tender by poking with a knife). Lower the heat and add 2 cups of milk. Simmer on very low heat until ready to serve. Transfer the steamed semolina in the bowl. Then gradually sprinkle with the remaining 2 cups of water and stir with a fork, again to ensure it is not lumpy. Fearing the heat, I am quite unable to do this with my hands as my grandmother did. Put the steamed semolina back in the top of the couscoussier for another 15 minutes of steaming. Serve hot couscous in a large bowl, and melt 1 stick of butter, diced. Mix well. Serve sugar, raisins, broth and vegetables separately. 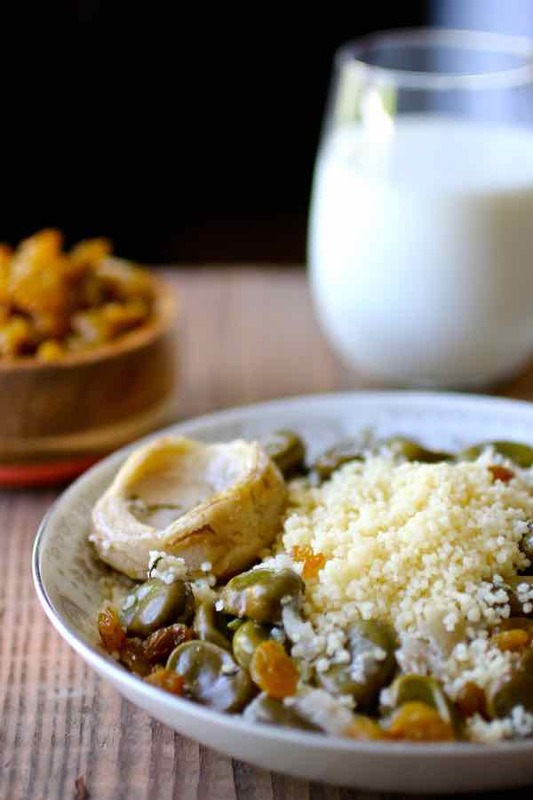 The fermented milk can be used as a drink and/or it can also be poured in the couscous. Thank you so much for sharing this! I’ve been scouring the Internet looking for Couscous au Beurre, and Couscous a l’osbane. I probably am spelling that wrong…My mother was from Constantine, Famille Guedj. All of my famille was from Constantine (my Pepe was a Postal Carrier, Memee stayed home raising the family) and now are mostly in Marseille, Paris, Nice, Cannes, and Israel. I’m so lucky to have live in France with them for 5 years, in my teenage years. Your Blog so brought back memories of Pesach, Purim, and Rosh Hashanah. I was an only child in the US, but had 10 cousins in Marseille! Best time of my life! Thank you so much for reminding me of such wonderful memories! 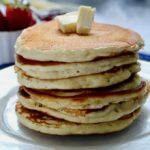 I am going right now to see what other great recipes you have, hoping for Pain Juif, that my Aunties made every Shabbat, along with Salade d’artichauts, Salade de naves, osbane, Couscous a la viande….really homesick after all of that. Many thanks! !